The one-light mini-pendant from the Elina Collection spins a traditional classic and modern form by exaggerating its heirloom quality details. 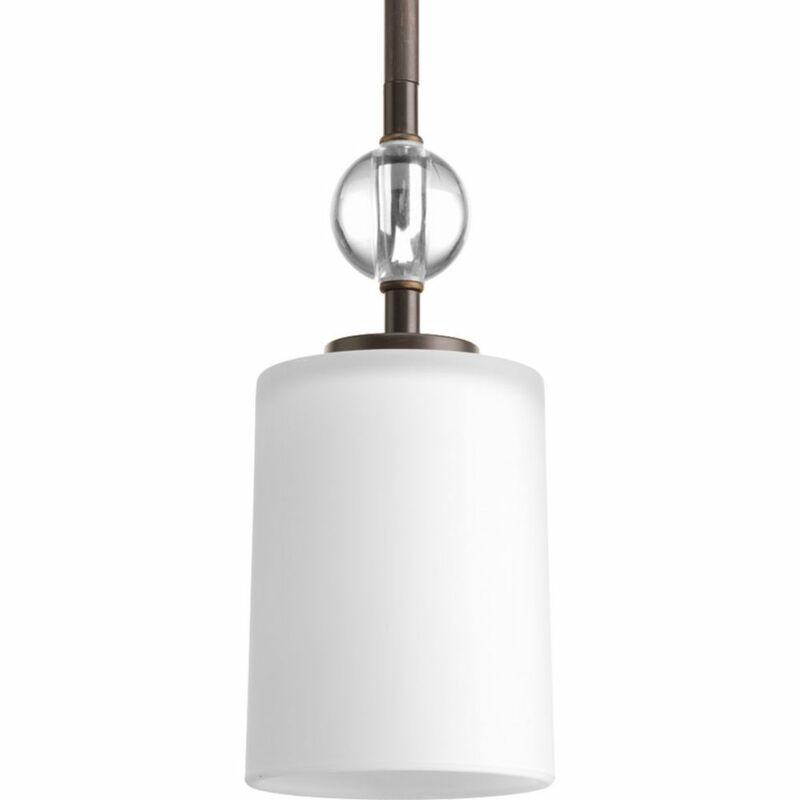 The fixture's tall, trumpeted opal glass and K9 glass orb accents create the distinctive silhouette. Available in Polished Nickel finish. Compass Collection 1-Light Antique Bronze Mini-Pendant Find your frame of reference with the Compass collection. Distinguished by crisp, linear elements that both contrast and cradle opal glass shades for pleasing illumination. Whether your style is modern or you simply prefer a style that is elegantly simple, Compass provides a sophisticated accent to your home's decor.